which caused the breaking of trend line on 240 min after which we initiated aggressive long trade which hit SL. Now monthly trend is up and weekly is sideways. 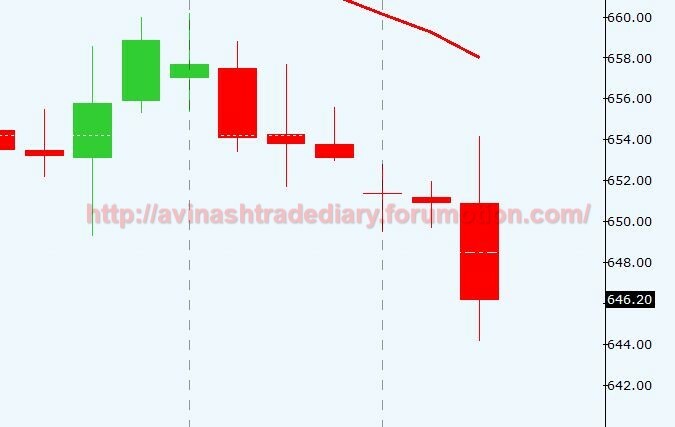 Trend on daily is down with intact trend line even 240 min trend is down with broken trend line. Keeping in mind weekly demand area in control and 240 min TL broken we can aggressively initiate long at 378 odd levels.